2014 Winner of the Trip Advisor Certificate of Excellence! 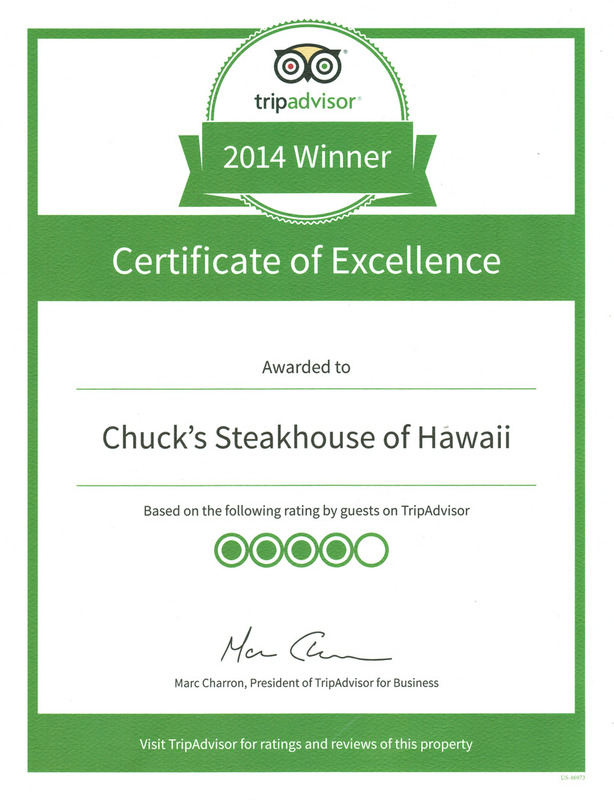 A Big THANK YOU to all our customers that took the time to rate us and share their Chuck's experience on tripadvisor. We sincerely appreciate it. See you soon!